To celebrate its 14th birthday (can that be right?? 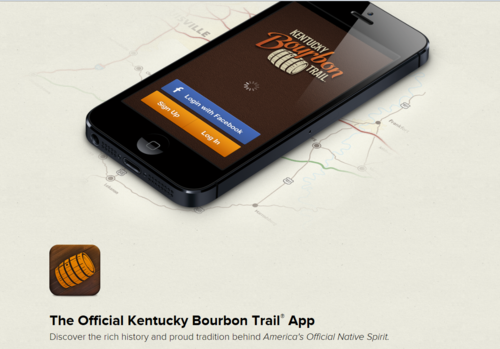 It seems like just yesterday it was a baby), the Kentucky Bourbon Trail tour today unveiled the new Official Kentucky Bourbon Trail app. 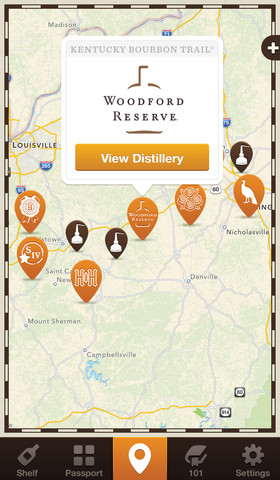 Available free on Apple’s iTunes Store (search “Kentucky Bourbon Trail”), the app features maps, GPS directions and tour hours for all Kentucky Bourbon Trail and Kentucky Bourbon Craft Trail Tour distilleries; digital check-in for the Kentucky Bourbon Trail Passport program; a trip planner for other local attractions, restaurants and lodging options near each distillery; a Bourbon 101 tutorial; and more. You can also find these features on the redesigned Kentucky Bourbon Trail website. The Kentucky Bourbon Trail tour features Four Roses and Wild Turkey in Lawrenceburg; Heaven Hill’s Bourbon Heritage Center in Bardstown; Jim Beam in Clermont; Maker’s Mark in Loretto; Town Branch in Lexington and Woodford Reserve in Versailles. Heaven Hill’s Evan Williams Bourbon Experience is scheduled to join the tour when it opens this fall in downtown Louisville.